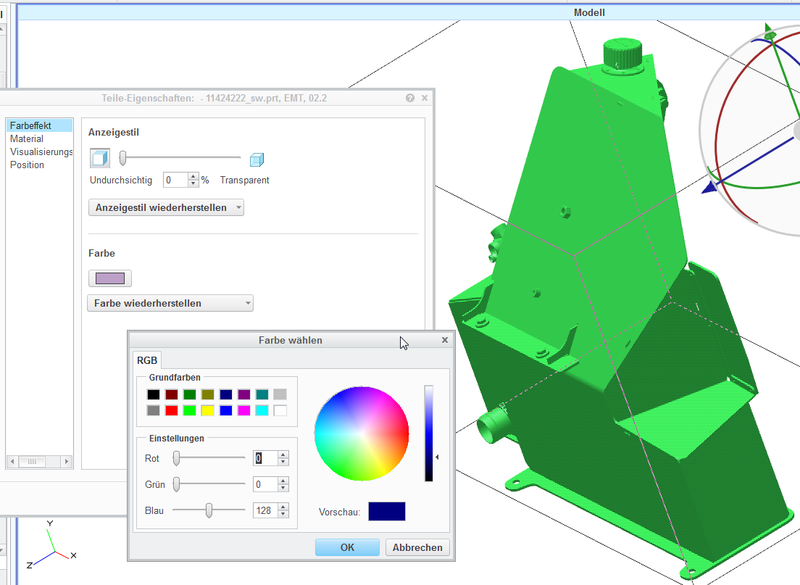 Creo Illustrate: "Colorize a surface geometrie as one entity when selected." An imported .pvz file couldn't be colored in Creo Illustrate as one entity when selected. Only selected geometry can be dyed. This behavior is only by surface geometries. Workaround to solve this Problem is Export Geometry as a STEP file and import it and the coloring is possible as one entity when selected. The workaround is not acceptable because to much steps for ex- and Import. Next the whole geometry must be checked for completeness. The whole thing takes a lot of time and who has it already?